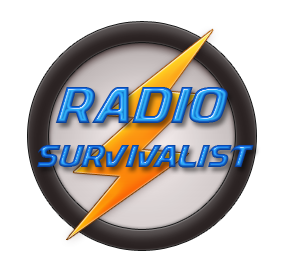 Fixed base radios and their usefulness to the survivalist will be the topic covered on this page. Many times communications between like-minded survivalists, or survivalist camps, are needed and this is where fixed base radios come into play. The term “fixed base” is a bit of a misnomer when referring to modern day 2-way and shortwave communications equipment. The vast majority of so-called base station radios run off of 12 volt power supplies making them very adaptable for mobile or portable use. As with other issues this depends upon what is expected of the equipment. A suggestion for those contemplating fixed base radio systems is to purchase radio gear that can be readily pressed into service as a mobile radio or for portable use. That being the case you will want to look at some of the major amateur radio manufacturers (Icom, Kenwood, Yaesu) for radios that run on 12 volts. Why? Simple, your vehicles run on 12 volts and you would need nothing more than a mobile antenna to run these base station radios in a vehicle. Shortwave radios make excellent base station radios as they pickup any and all shortwave frequencies and do it without the possibility of raising suspicions about licensing and so forth. Fixed base radios do not need to be elaborate to work efficiently for you! Some of the gear (new and used) on the market nowadays is based on simplicity of use while maintaining advanced features. Many of the radios made for amateur radio use will amaze you when you examine their size and then compare the features contained within them. Should I Buy 2-Way or Shortwave? 2-way radio naturally gives you the ability to talk back to anyone that you may be listening to. Admittedly this requires some sort of a license but this may not be such a drawback for a survivalist. The availability of new, or good used, 2-way equipment may be a better choice for you in the area you live. Shortwave radios are available though and all one needs to do is search diligently for them.